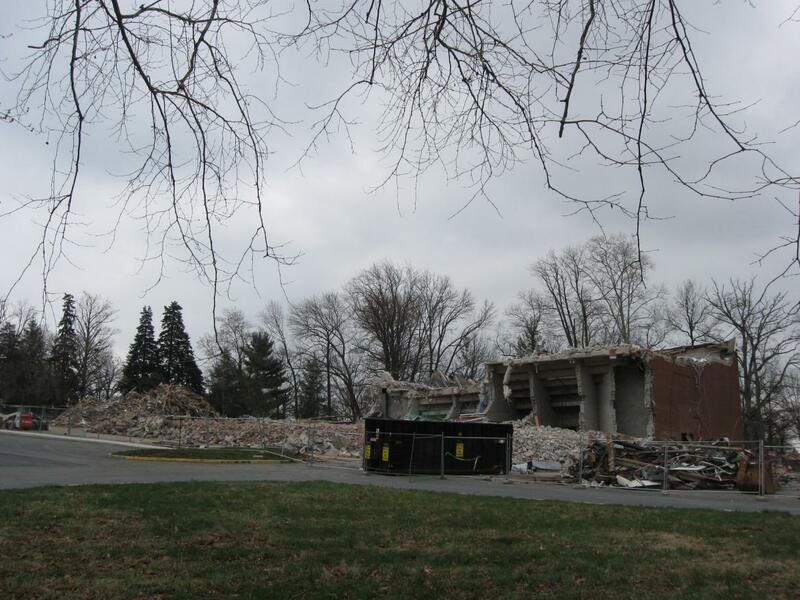 On Thursday the contractors almost completely demolished the 1921 building that previously housed the old National Park Service Visitor Center. 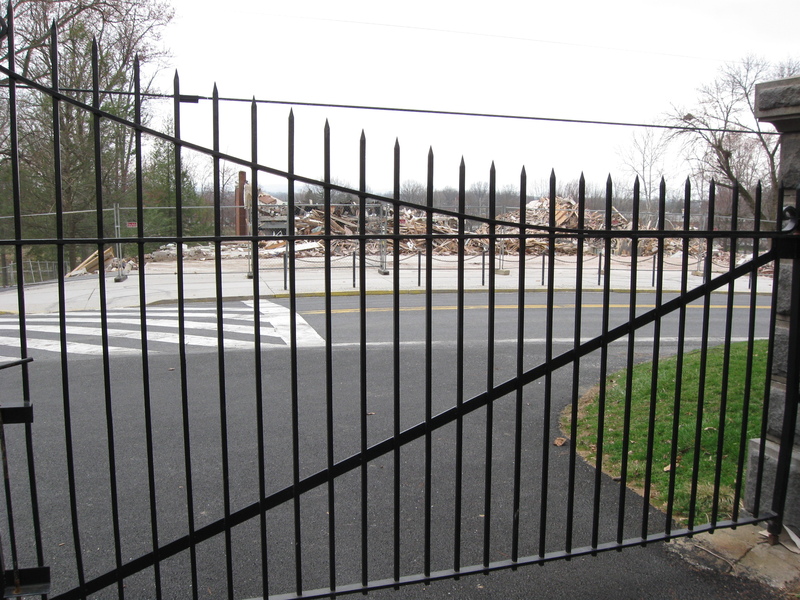 This photograph was taken from the gates of the Taneytown Road entrance to the Soldiers National Cemetery. This view was taken facing northwest at approximately 4:30 PM on Thursday, April 2, 2009. Here’s the same view as the previous photograph from Wednesday. This view was taken facing northwest at approximately 4:30 PM on Wednesday, April 1, 2009. 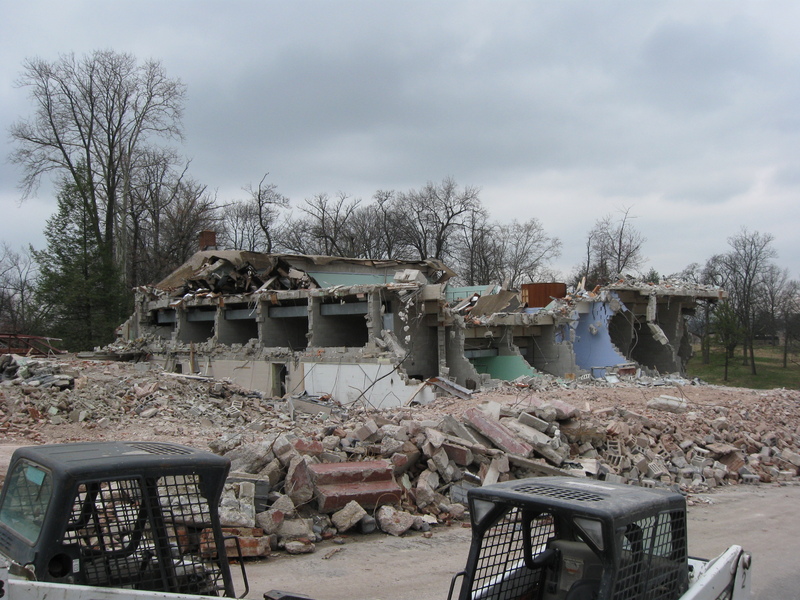 In today’s update on the Visitor Center Demolition, the contractors have almost completely demolished the 1921 building and made more progress on the 1962 building. In our first post we saw the initial work in the middle of the structure. 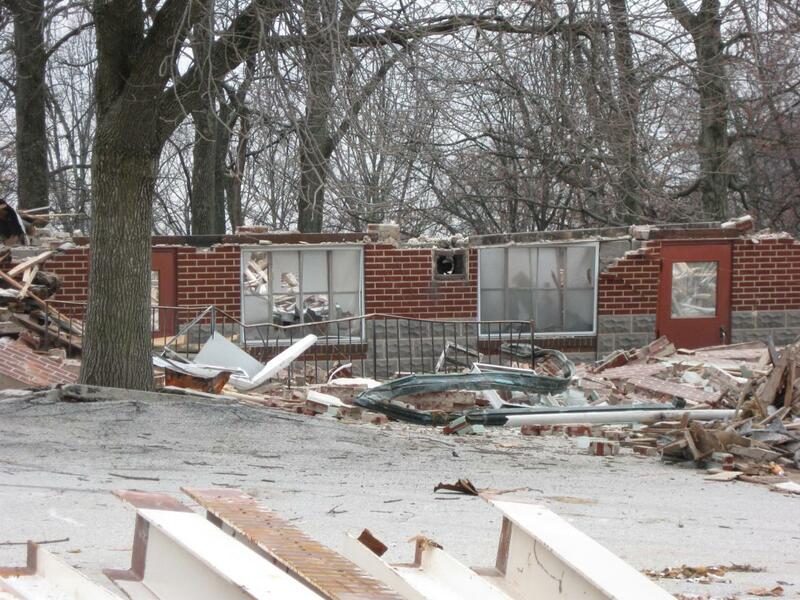 In our second post we saw the breaching of the wall to the 1962 addition. In our third post, they had almost completely removed the 1962 Electric Map Lobby. 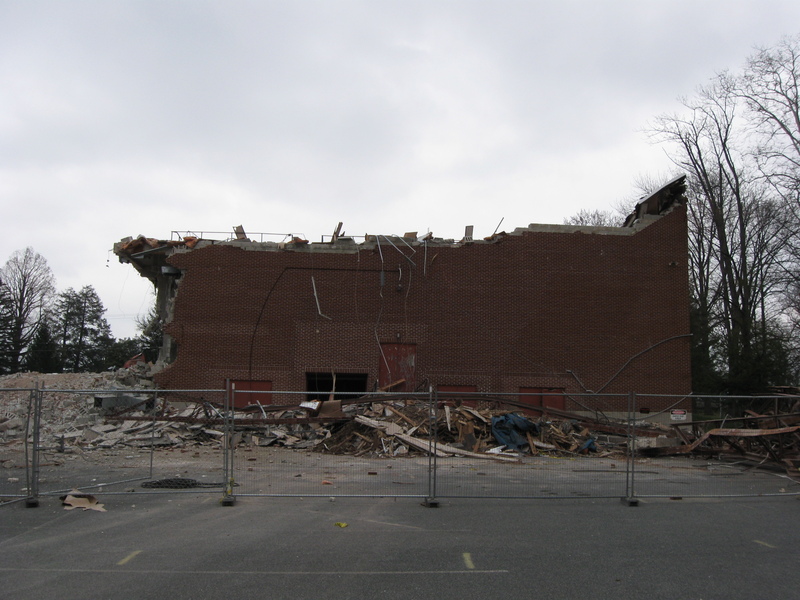 In our fourth post the contractors broke through the wall to the Electric Map Auditorium. In the fifth post the contractors advanced farther into the auditorium and broken through the south wall. 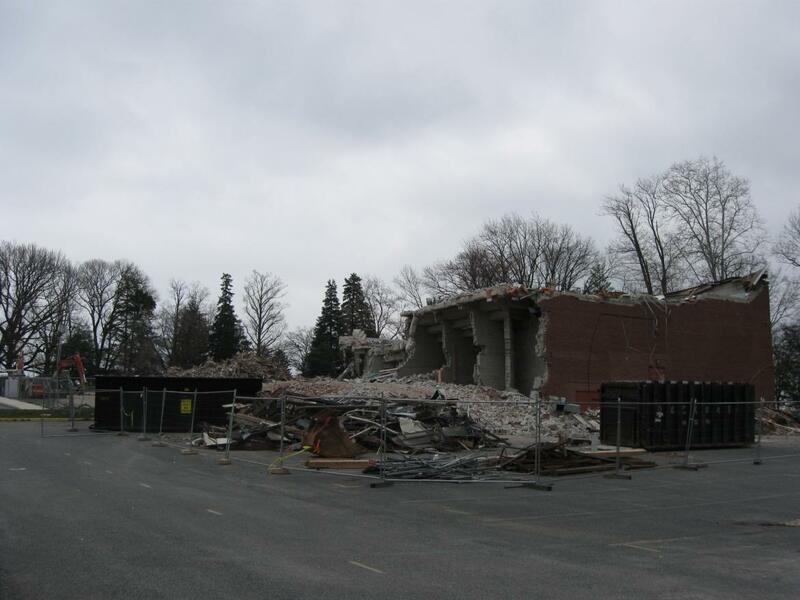 In the sixth post, the contractors knocked down the south wall separating the 1921 building from the 1962 building, and began to demolish the west and southwest sides of the 1921 building. 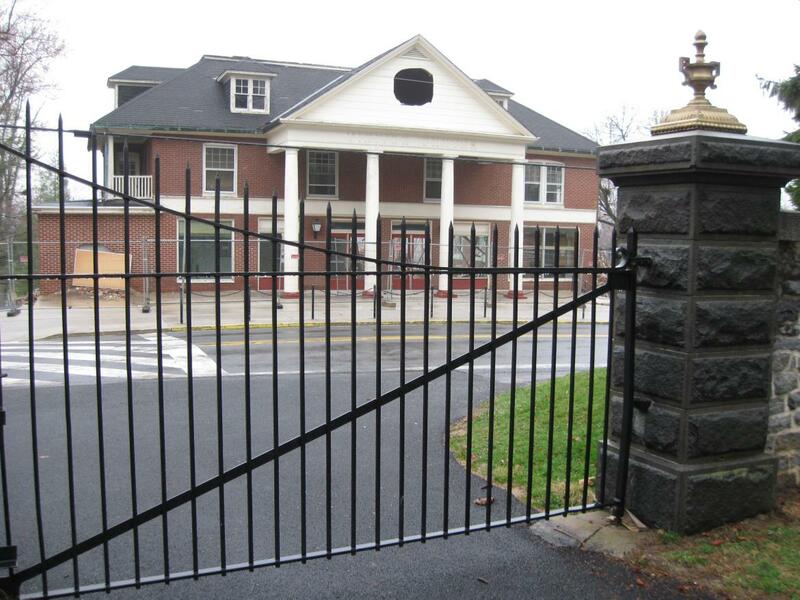 In the seventh post, the contractors made significant progress on both the 1921 building and the 1962 building. 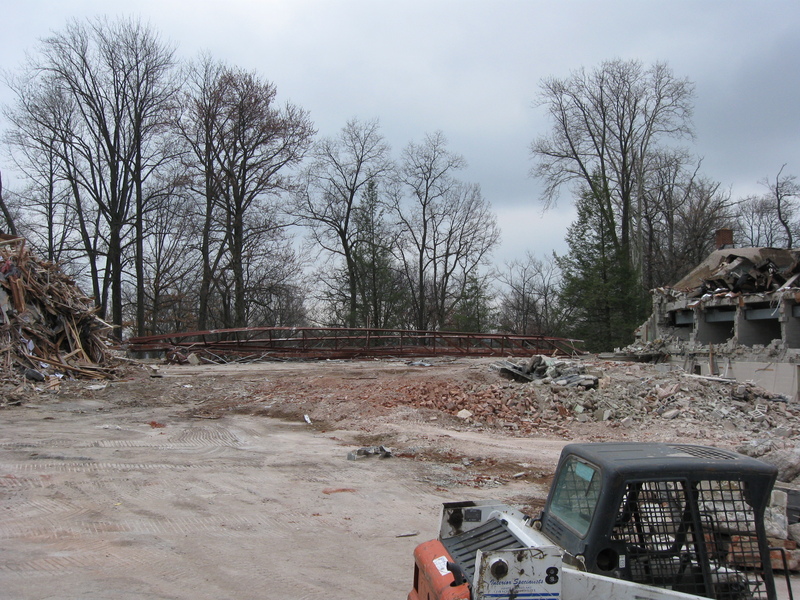 We’ll take another walk around what’s left of the structures beginning at the Cyclorama parking lot. The 1921 building which used to be on the right in this view is now gone. This view was taken facing northwest at approximately 4:30 PM on Thursday, April 2, 2009. A view of the area from the southeast near the wall to the Soldiers National Cemetery. This view was taken facing northwest at approximately 4:30 PM on Thursday, April 2, 2009. 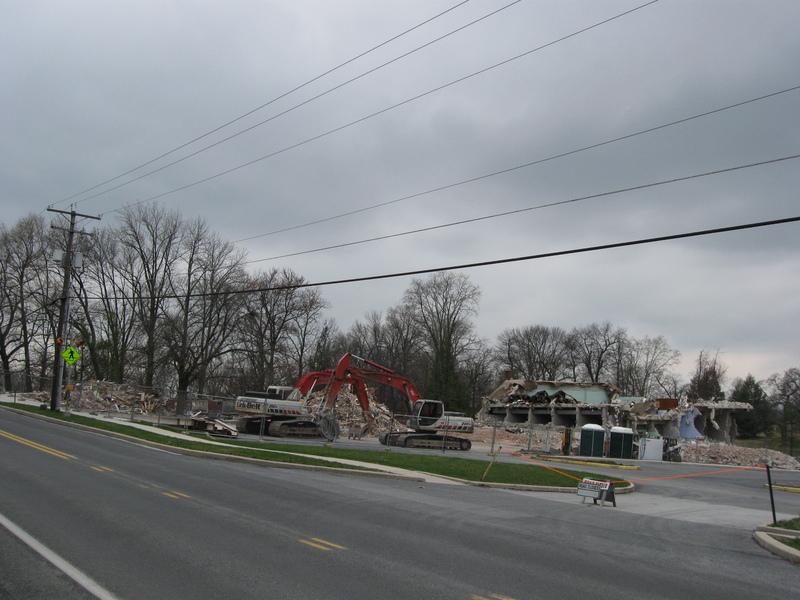 Another view from the Taneytown Road entrance to the Soldiers National Cemetery of the rubble of the 1921 building. This view was taken facing west at approximately 4:30 PM on Thursday, April 2, 2009. 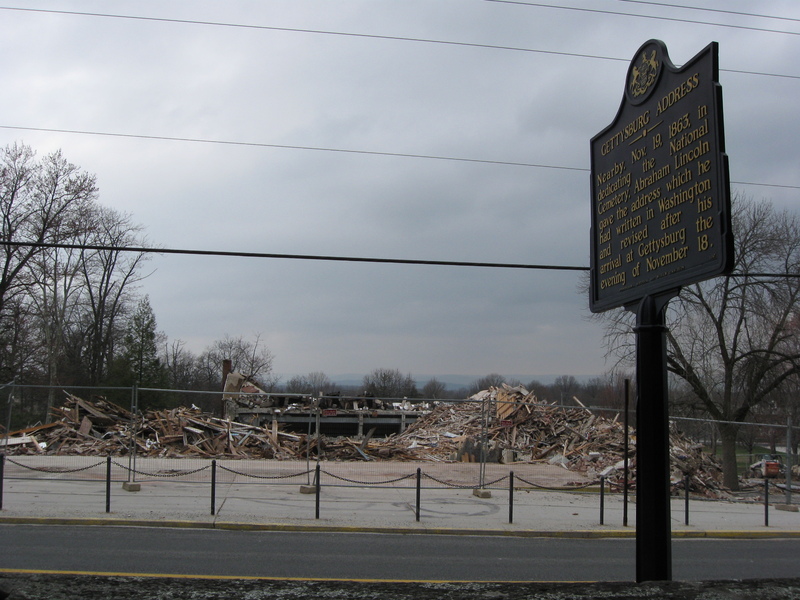 A closer view of the rubble of the 1921 building. The only visible section remaining is not much of a wall on the right (north). This view was taken facing west at approximately 4:30 PM on Thursday, April 2, 2009. 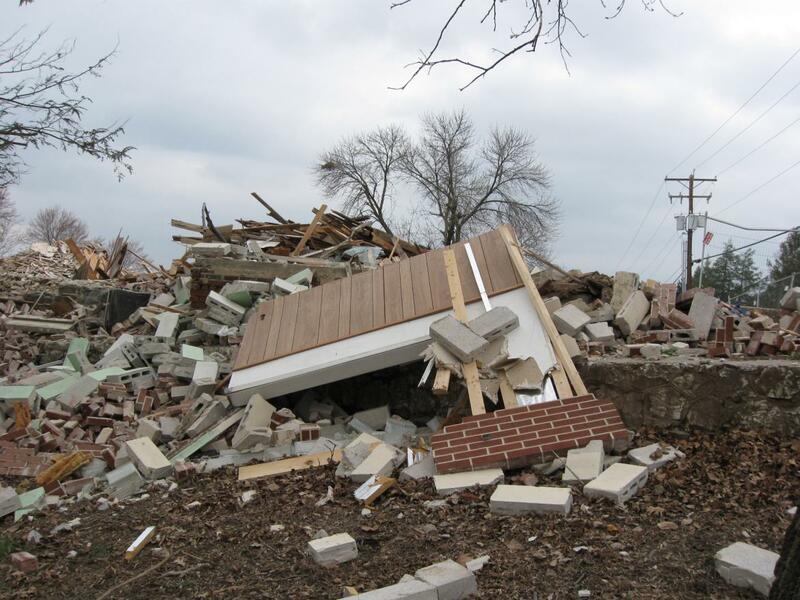 The door is what’s left of the entrance to the restrooms. Men’s door is on the right, Women’s is on the left. This view was taken facing southwest at approximately 4:30 PM on Thursday, April 2, 2009. 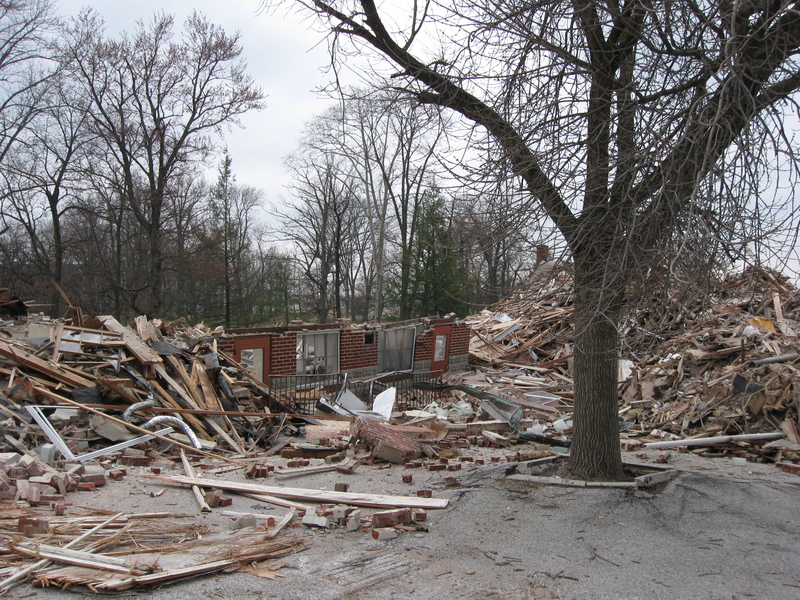 A view of the rubble of the 1921 building from the north. This view was taken facing south at approximately 4:30 PM on Thursday, April 2, 2009. Another view of the restroom entrance. This view was taken facing south at approximately 4:30 PM on Thursday, April 2, 2009. 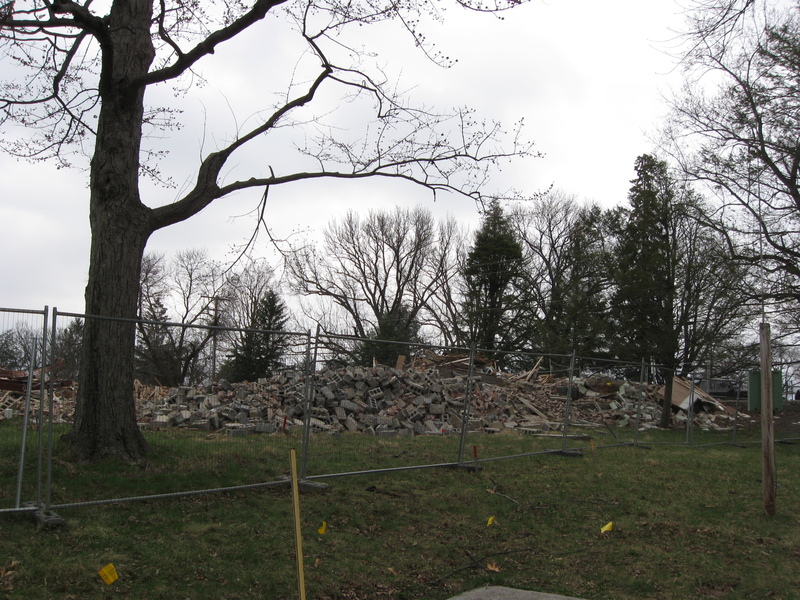 The rubble that was the 1921 structure and some of its additions. The Taneytown Road entrance to the Soldiers National Cemetery is in the left background. 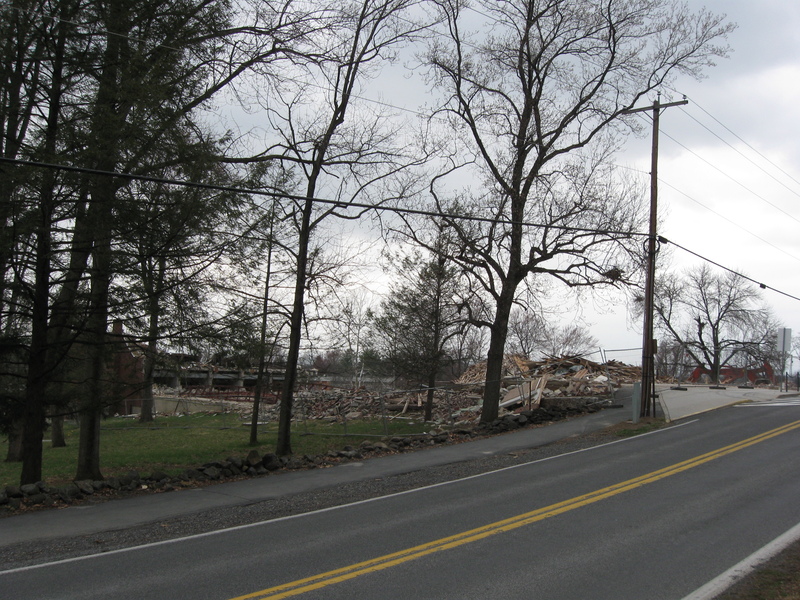 This view was taken facing southeast at approximately 4:30 PM on Thursday, April 2, 2009. A view from the northeast by the National Cemetery wall. 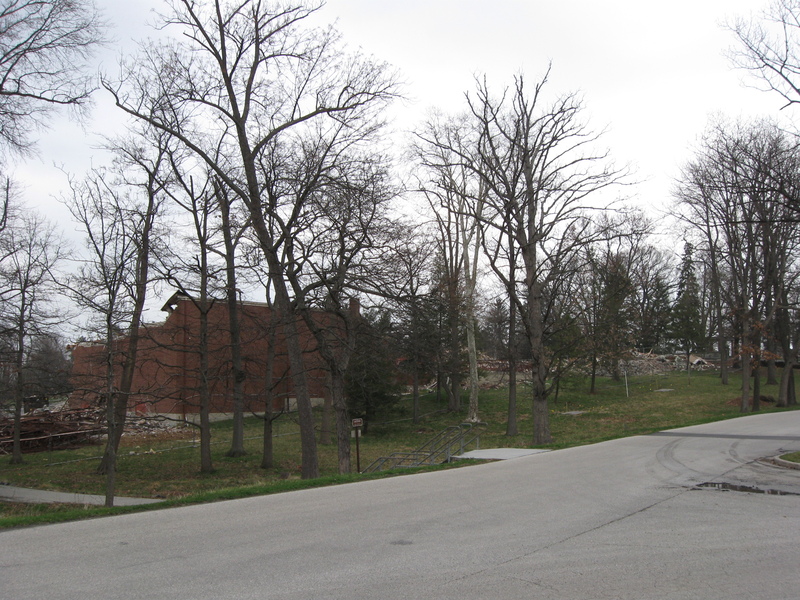 The 1921 building rubble is on the left. This view was taken facing southwest at approximately 4:30 PM on Thursday, April 2, 2009. A view from the north. The 1921 building rubble is behind the red and white excavators. This view was taken facing south at approximately 4:30 PM on Thursday, April 2, 2009. 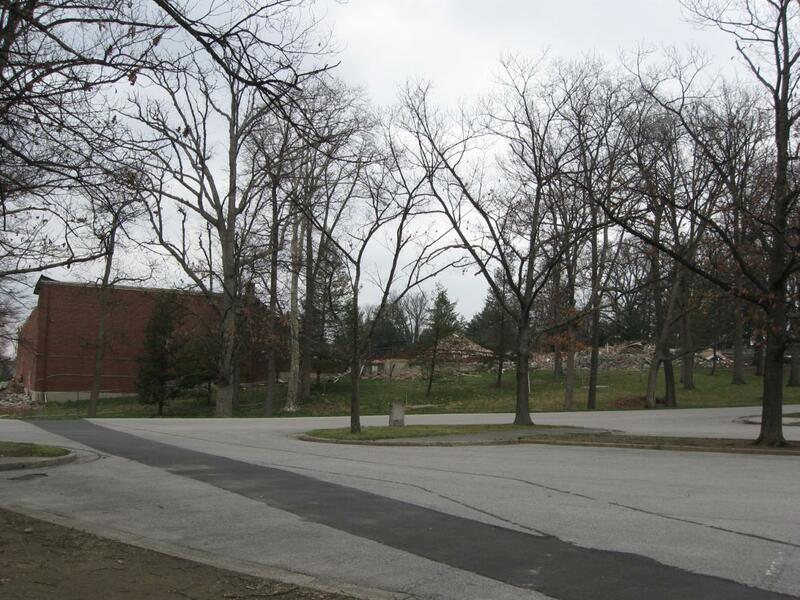 The cleared area between the 1921 rubble on the left and the 1962 addition on the right. This view was taken facing south at approximately 4:30 PM on Thursday, April 2, 2009. 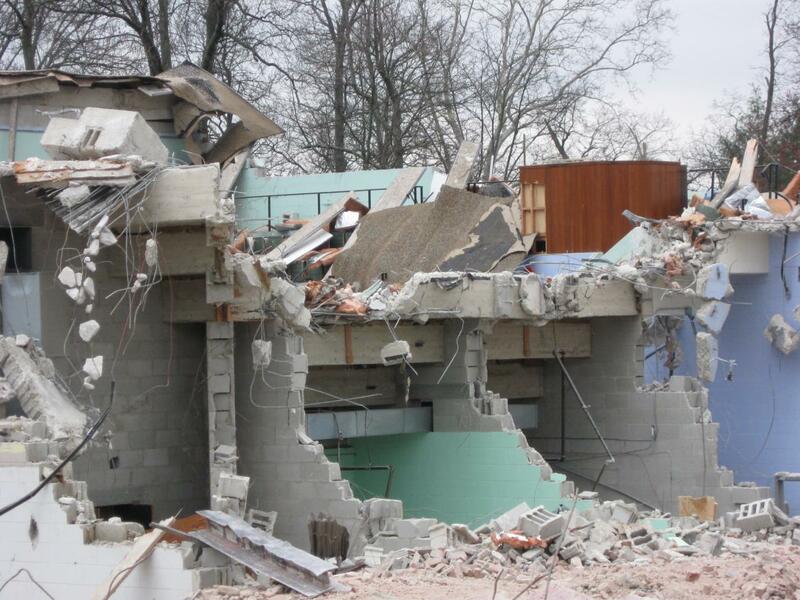 The demolition of the 1962 addition has reached the heart of the Electric Map auditorium. This view was taken facing southwest at approximately 4:30 PM on Thursday, April 2, 2009. Notice the wooden structure in the right background. That was the Electric Map control booth. This view was taken facing southwest at approximately 4:30 PM on Thursday, April 2, 2009. 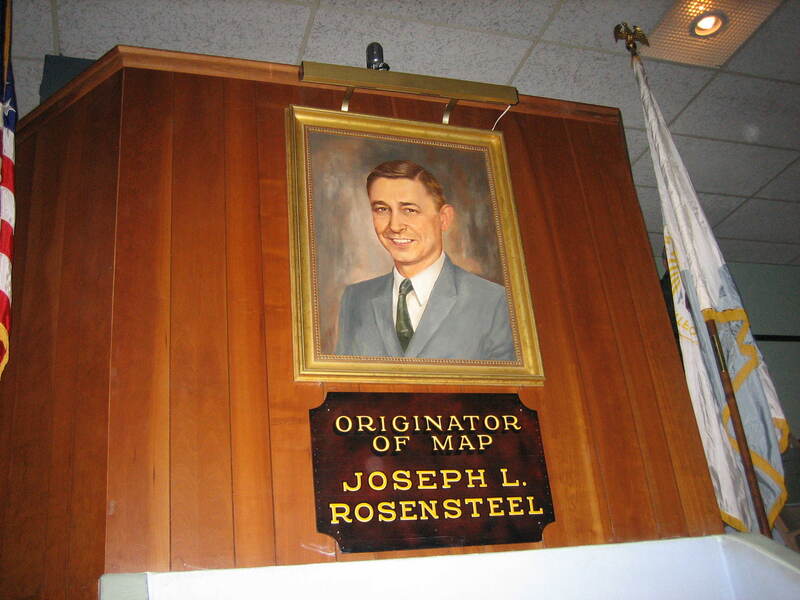 The control booth that used to hold Joseph Rosensteel’s painting. This view was taken facing southeast at approximately 5:00 PM on Sunday, April 13, 2008. 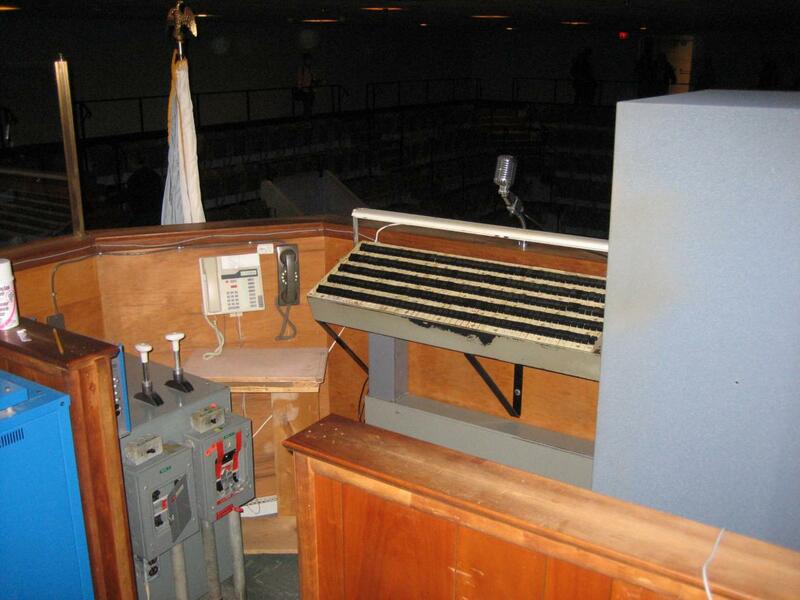 The control booth from which Joseph Rosensteel used to operate the Electric Map manually, as did some of his employees and some later employees of Eastern National. 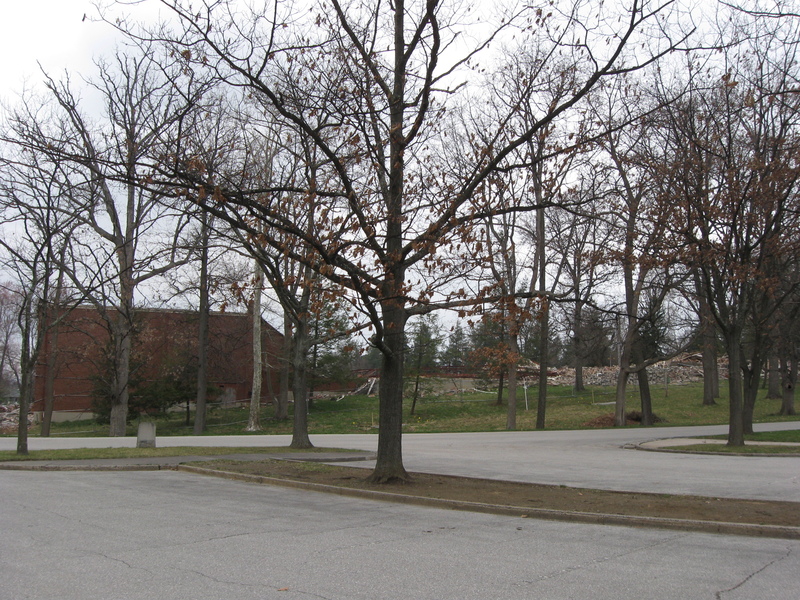 This view was taken facing northeast at approximately 5:00 PM on Sunday, April 13, 2008. 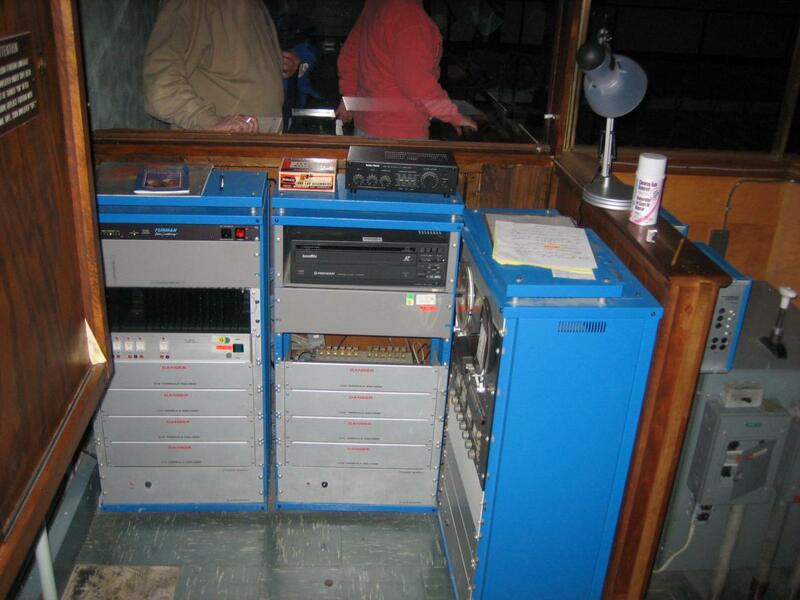 The control booth that held the equipment to make the map run automatically. This view was taken facing north at approximately approximately 5:00 PM on Sunday, April 13, 2008. 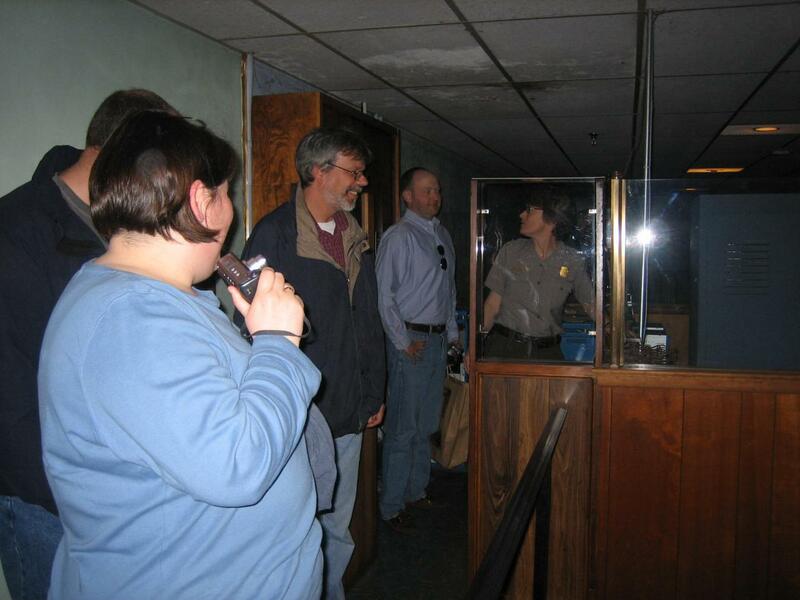 The control booth from which National Park Service spokeswoman Katie Lawhon had to drive out Tim Smith and other visitors who became too interested with the inner workings of the Electric Map following the last Electric Map show. This view was taken facing north at approximately approximately 5:00 PM on Sunday, April 13, 2008. The brick wall has now been completely removed from the north side of the 1962 addition. This view was taken facing southwest at approximately 4:30 PM on Thursday, April 2, 2009. A view from the northwest. 1921 building rubble on the left. 1962 addition on the right. This view was taken facing southeast at approximately 4:30 PM on Thursday, April 2, 2009. 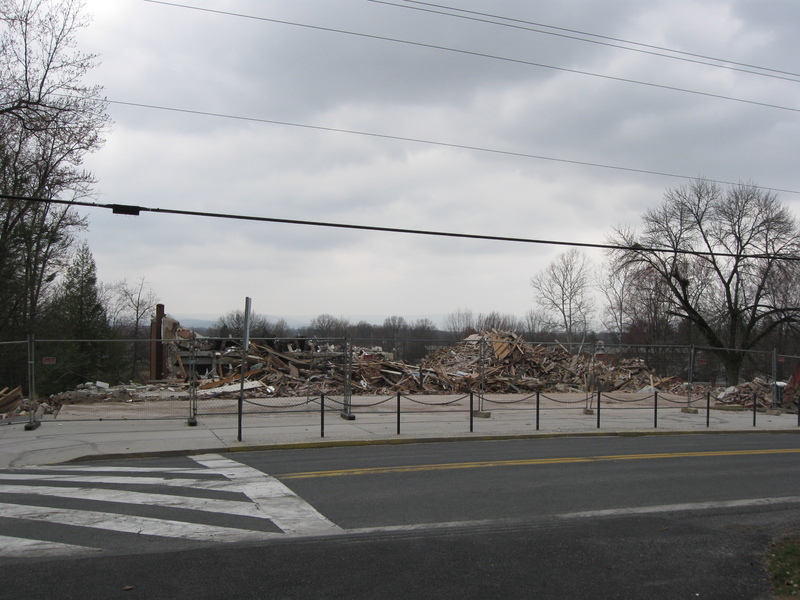 A view of the demolition area from Steinwehr Avenue. 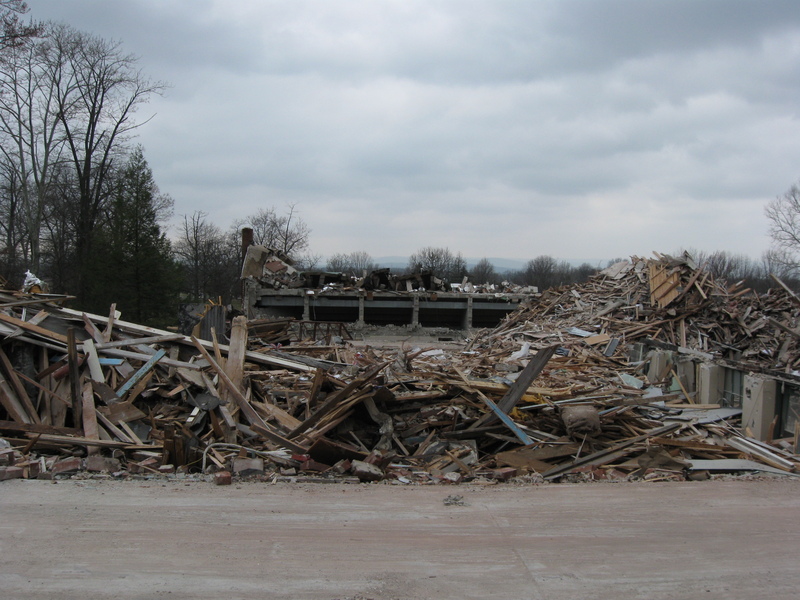 This view was taken facing southeast at approximately 4:30 PM on Thursday, April 2, 2009. A closer view from the northwest. 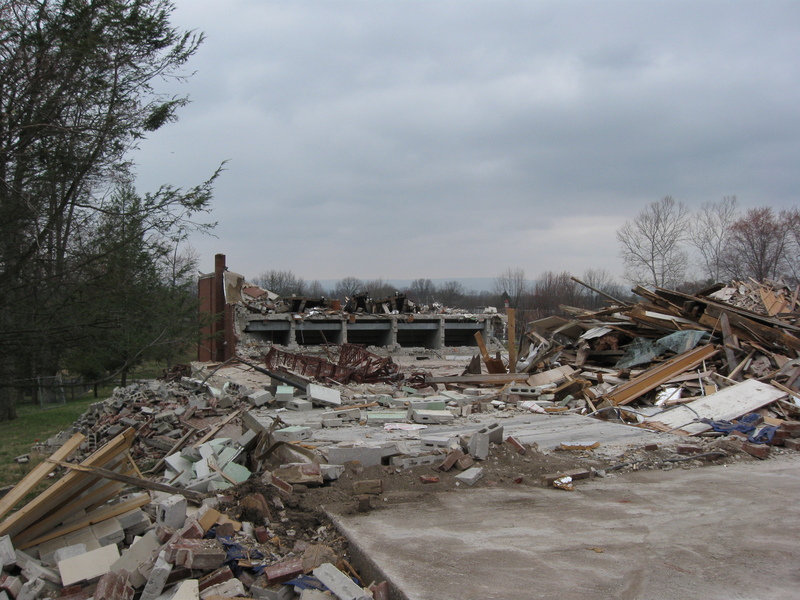 This view was taken facing southeast at approximately 4:30 PM on Thursday, April 2, 2009. 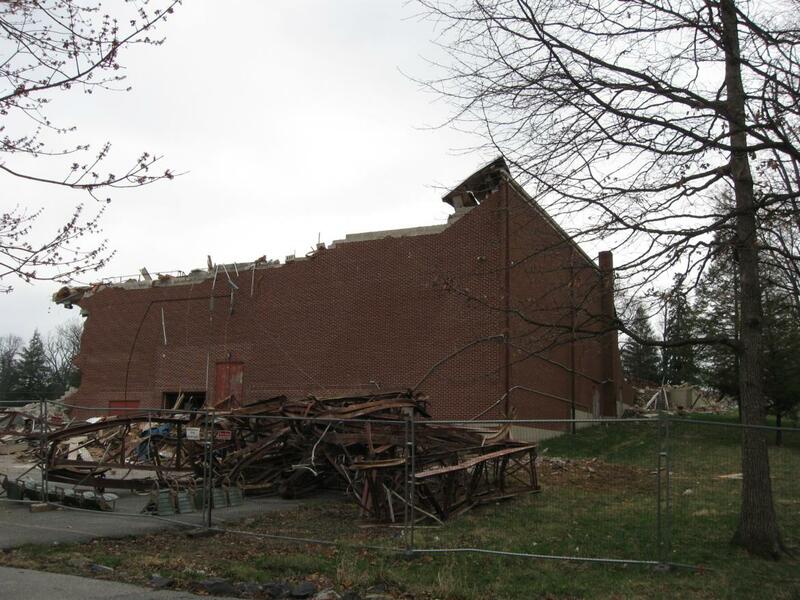 A lot of damage to the left and top of the rear (west) wall of the 1962 addition. This view was taken facing east at approximately 4:30 PM on Thursday, April 2, 2009. The west and south sides of the 1962 addition. This view was taken facing northeast at approximately 4:30 PM on Thursday, April 2, 2009. A view from the Cyclorama Parking lot. 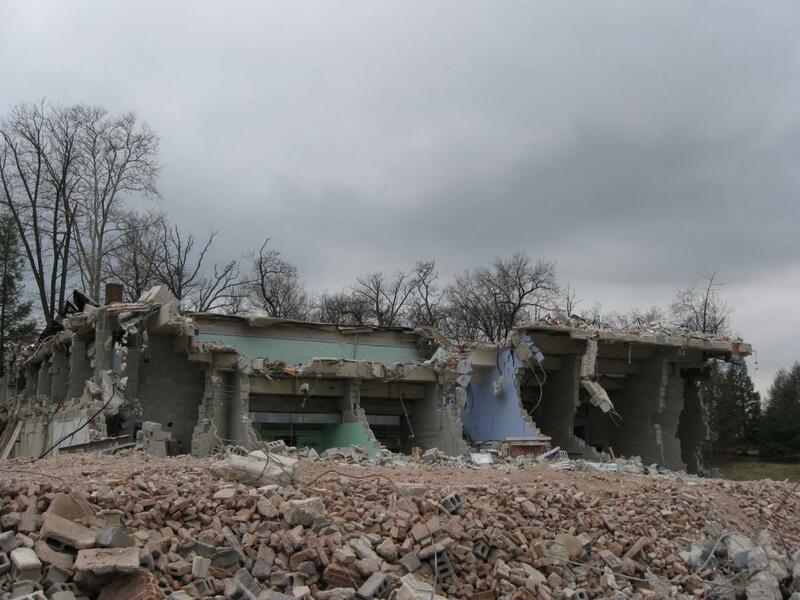 This view was taken facing northeast at approximately 4:30 PM on Thursday, April 2, 2009. This angle appears to show that the west wall of the 1962 addition is sagging in a little. 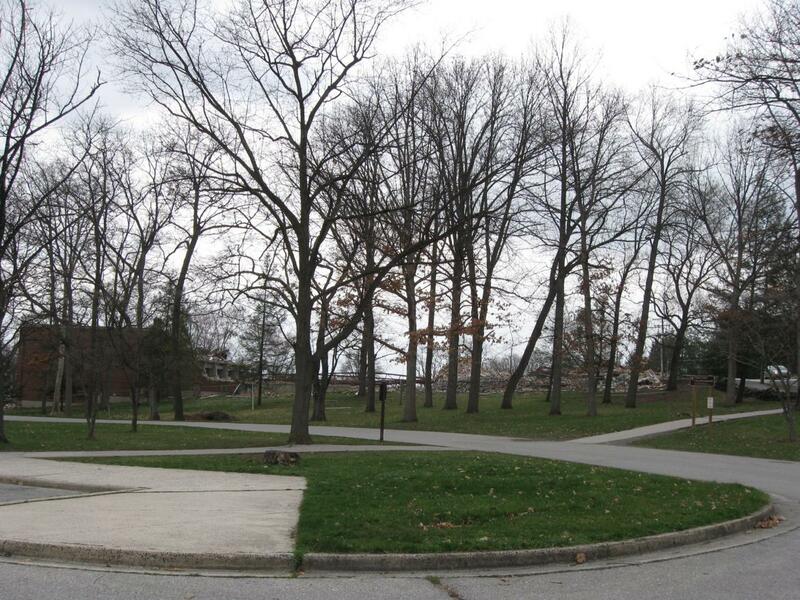 This view was taken facing northeast at approximately 4:30 PM on Thursday, April 2, 2009. A view from the south. This view was taken facing north at approximately 4:30 PM on Thursday, April 2, 2009. 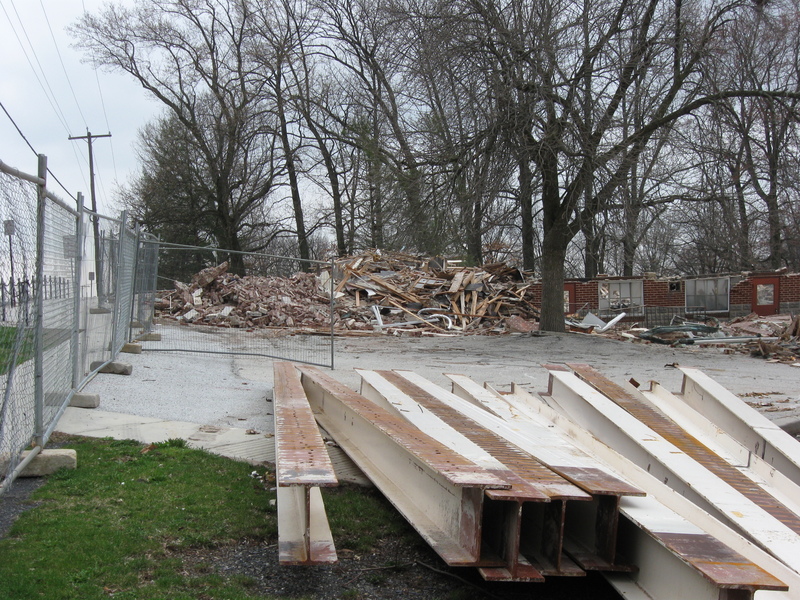 We’ve moved closer to the south side of the demolition area. 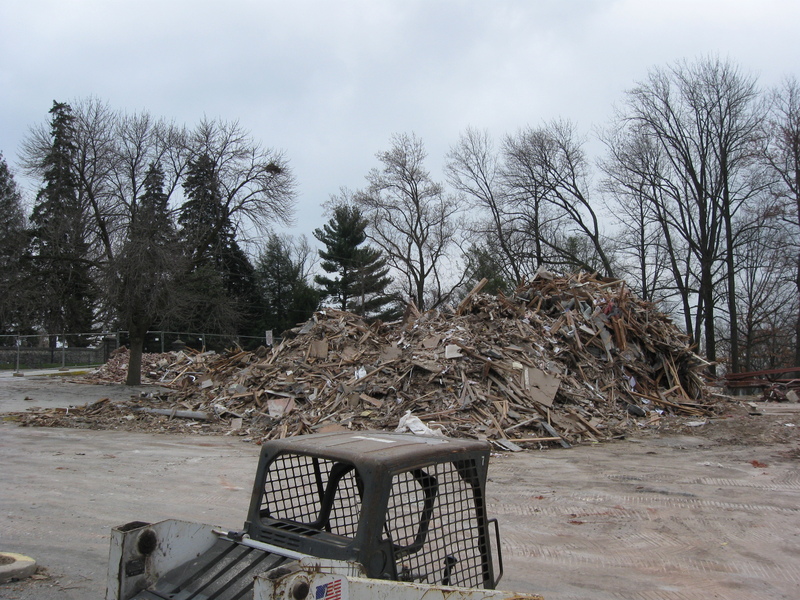 Here’s the rubble of the 1921 building. 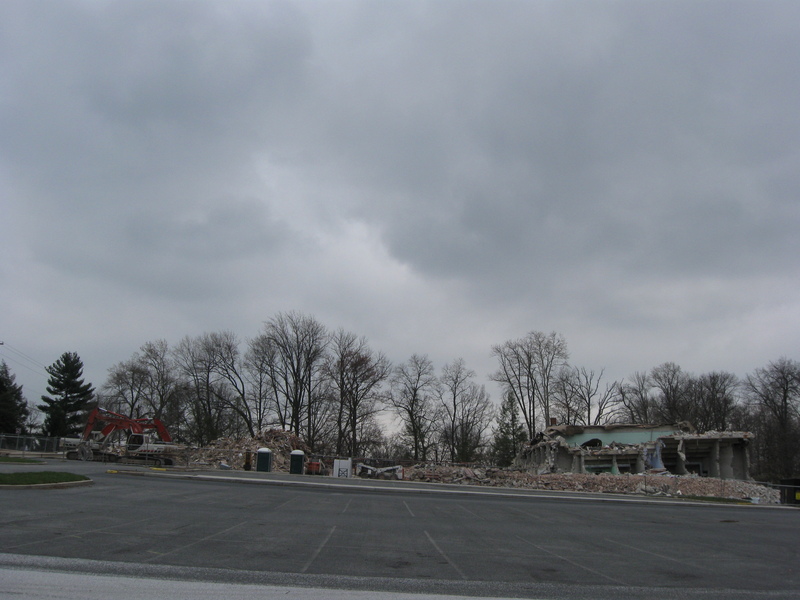 This view was taken facing northeast at approximately 4:30 PM on Thursday, April 2, 2009. One of the most visible pieces from the 1921 building. This view was taken facing north at approximately 4:30 PM on Thursday, April 2, 2009. 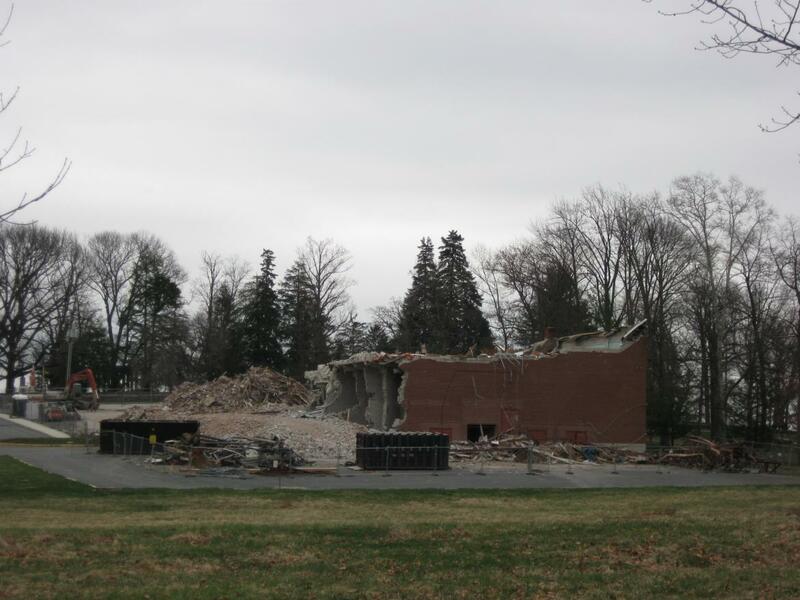 We’re wondering how much of the 1962 addition will be left after today (Friday). This view was taken facing northwest at approximately 4:30 PM on Thursday, April 2, 2009. This view was taken from just inside (east of) the wall of the Soldiers National Cemetery. This view was taken facing west at approximately 4:30 PM on Thursday, April 2, 2009.